Well, first show is in the can! I’ve watched hundreds of thousands of hours of television in my life, and until I started working in production, did I realize how much work went into a show. Our first show is fantastic. We have the amazing Tahnee Shah to talk about her fight against the stigmatization of cannabis, and how it’s helped her treat her ultra rare liver cancer. Jeff “The 420” Chef was on to demonstrate one of his easy (and delicious!) recipe, to walk everyone through the edible process, and how to determine the right dosage for *you*. 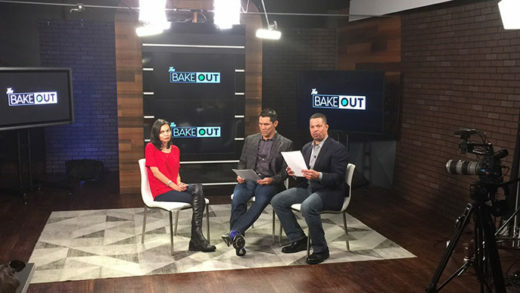 Finally, we have a cannabis attorney on to address legal concerns our viewers have submitted. There’s just so many falsehoods about cannabis out there, it feels essential to talk to experts who know the law, and can explain it easily. I’ve spent so much time taking to people about cannabis and hearing their stories, and every day I’m blown away and humbled by the lengths some people have to go to get essential medicine. This needs to be changed, now, and I’m so grateful we have the opportunity to be a part of this movement. Now our first is shot, I can’t wait to share more stories. The time is now, the movement is here.